Who has been trying to understand the scandal engulfing the Labour Party regarding anti-Semitism? I have been reading loads about it, trying to work out if it is simply Zionists trying stain the Labour by conveniently using anti-Israeli policy (there is nothing racist about disagreeing with an ideology) to label them as anti-Semites. Whilst this may be the case and carries some convenience about it, it is also obvious that there is ignorance, not just in the Labour Party by the way, but across the political spectrum, about what being Jewish is. There is certainly a feeling amongst some folk that if you are a Jew, it means you want to pour raw sewage on Palestinians. However, supporting this theory is about as logical as saying that everyone in Britain loves Theresa May and can’t wait for her to make Britain a stronger country after Brexit. For example, the following Jewish groups are against the action of what is in my, opinion, is often a hawkish regime. Also, it needs to be remembered also that Jews are not a race, they are part of a collective history with regards to religion, language, culture and oppression. You or I can become Jewish, it is not a race, it features many skin colours and backgrounds. So, if you get into a debate about the Jewish religion (it’s not race remember) the first thing to be aware of is that been anti-Zionist is an entirely different subject to be anti-Semite, as the first is to be opposed to a political ideology and the second is to be opposed Jews as a collective, whatever ever their beliefs may be. If you say that you don’t like Jews because they occupy Palestine, you have kind of lost the argument and given ammunition to Zionists, who, as we know, like a bit of ammunition. With that in mind, Labour are actively shooting both feet with both barrels by allowing these ignorant types into their party. On the flip side, if a Zionist calls you anti-Semitic because you are opposed to Israeli settlements and military action against Palestinians, you have every right to put that person firmly in their place because you are opposing an ideology, not Jews. A Good example for you would be the Miliband brothers, prominent Labour Party members who are Jews not comfortable with Zionism. 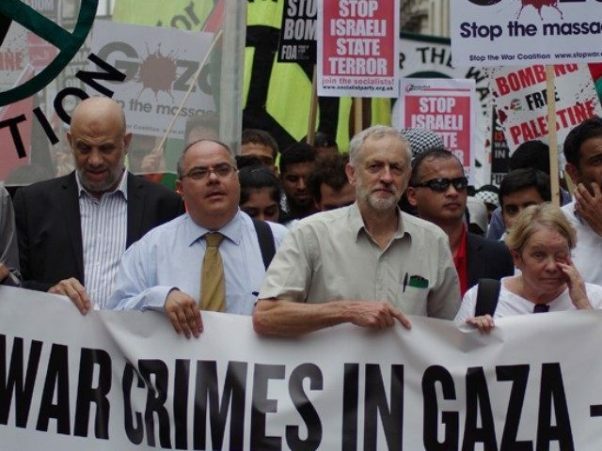 Remember, because Jeremy Corbyn has opposed the treatment of Palestinians, it doesn’t mean he is anti-Semitic, unless of course, he claims he believed a war crime had committed by the Jewish religion. I can’t find any evidence of that anywhere. No Replies to "Trying to Understand the Labour Jewish Scandal"